Uniting at Southwest, a community coalition that’s been active in Brookside and Waldo, says it’s interested in exploring the possibility of a middle school partnership with Kansas City Public Schools. Editor’s note: This story was updated at 6:10 p.m. with comments from the school district. Kansas City Public Schools leaders are open to the possibility of reopening Southwest High in partnership with a community coalition that’s been campaigning for months in the Brookside and Waldo neighborhoods. “To me, what’s going to get support in that neighborhood is a middle school that could grow into a high school with a signature component,” Superintendent Mark Bedell said Monday in a South Zone School committee meeting of the KCPS Board of Education. That means Uniting at Southwest will have to shift its focus from a project-based high school to a middle school. Representatives of Uniting at Southwest and Bedell’s cabinet met last week to discuss the possibility of a middle school collaboration. They agreed that Uniting at Southwest should submit a letter of interest to KCPS. 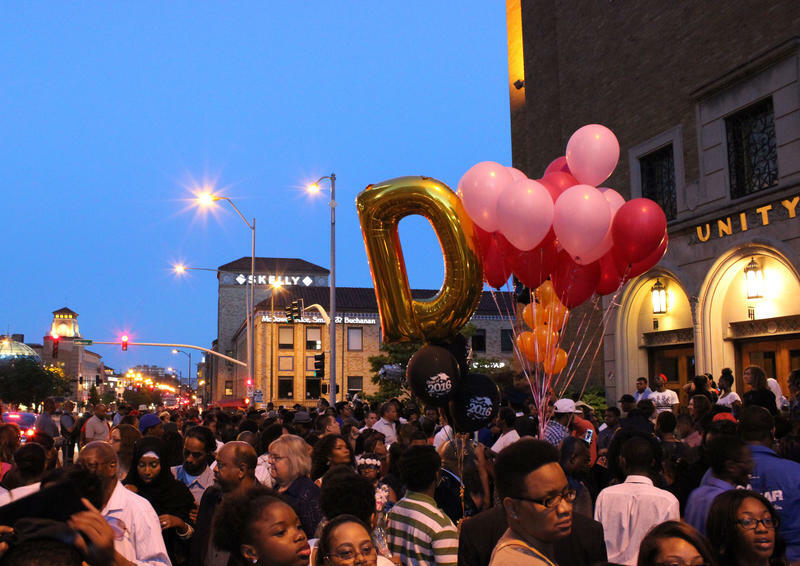 It will be an early test of new guidelines designed to protect the district’s interests when collaborating with outside groups. The board’s principles of education collaboration were clearly written with Uniting at Southwest in mind. When bright, colorful signs supporting project-based learning began appear in yards and windows last spring, the district at first tried to distance itself from the movement. A school board committee was already exploring the possibility of a middle school south of Brush Creek. But in October, district officials paused that conversation while the school board hammered out new partnership guidelines, which were approved last week. Bedell says he’s made it abundantly clear to Uniting at Southwest that “sponsoring a charter is a nonstarter right now.” But the district is open to a school model partnership, which would allow Uniting at Southwest to design the science, technology, engineering, arts and mathematics education curriculum it envisions. Phyllis Williams, a spokeswoman for Uniting at Southwest, says the group is open to channeling its energy and enthusiasm into a middle school – as long as a high school remains a possibility for the future. Bedell says there’s potential for growth if the middle school is a success. A project-based learning high school, in which students learn by identifying real-world problems and coming up with solutions, would likely have certain admission requirements, just as Lincoln and Paseo do now. And that might be a sticking point for some Uniting at Southwest backers. Families living in Brookside and Waldo have long complained about the lack of an open enrollment high school south of Brush Creek, and this would be another signature program not every student could access. Still, Williams says the plan is to submit the letter of intent required to kick-start the collaboration process by the end of next month, if not sooner. The district will then have 60 days to respond. 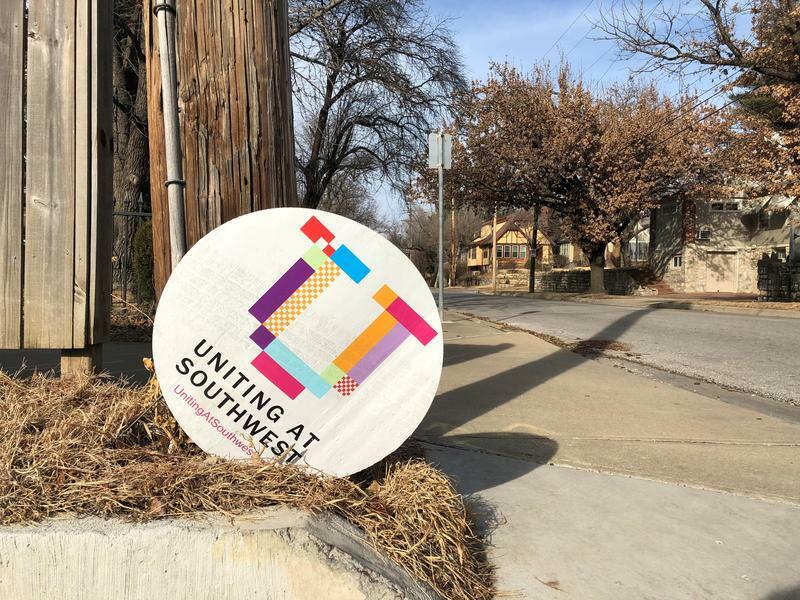 KCPS spokeswoman Natalie Allen characterized the talks with Uniting At Southwest as “preliminary conversations” about a middle school collaboration. She says once KCPS has a letter of interest, the district will assess Uniting at Southwest’s goals and priorities against the guidelines for collaboration adopted by the school board earlier this month. Maybe you’ve noticed the yard signs featuring a pixelated, rainbow “U” popping up in the city’s southwest quadrant. Parents who want to see the former Southwest Early College Campus reopened as a project-based learning high school met Wednesday at Bier Station in the Waldo neighborhood. 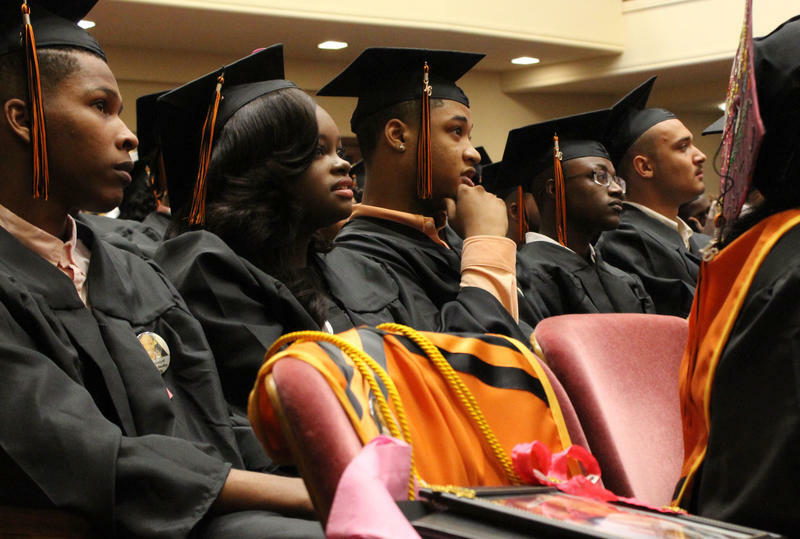 Tuesday night, around 70 students from Southwest Early College Campus (SWECC) attended the school’s final graduation ceremony at Unity Temple. They entered the room to "Pomp and Circumstance," dressed in traditional black gowns. As they took their seats, one seat remained empty in the front row.